Pregnancy can be a time for ALL the feels! High highs, and low lows. Intense joy, and overwhelming anxiety. So many ranges of emotion that can leave any mama feeling confused. Don’t worry - it’s common! You’re not alone. Your body is building a human, and for that human to grow and develop, many changes are necessary within your anatomy and physiology, which can cause all kinds of change, both physically and emotionally. While the physical and emotional changes that come along with pregnancy can be tough to endure, try to remember this time is preparing you for the transformation that is motherhood – it will change your life, it will change your heart. Sometimes pregnancy can feel uncomfortable, isolating, unfair, overwhelming, confusing; motherhood carries with it many of these same feelings too. Many expecting mamas feel this way at different points throughout their journey, and even veteran mamas too. You don’t have to sit in those feelings forever. Honor them, know them, and find ways to help yourself move through them. Go on a walk with another pregnant friend. Take up a hobby you enjoy, like gardening or cooking, to help get your mind off of it. Find your tribe. Talk things through. Share. Hold space. Do not walk the journey alone, because you aren’t. I encourage each of you expecting mamas to embrace the changes, one day at a time, and honor your body for the miraculous work it’s doing. It’s pretty amazing what the woman’s body is capable of. Congratulations! Natalie Fitzgerald is a Certified Pediatric Sleep Consultant and Postpartum Doula. 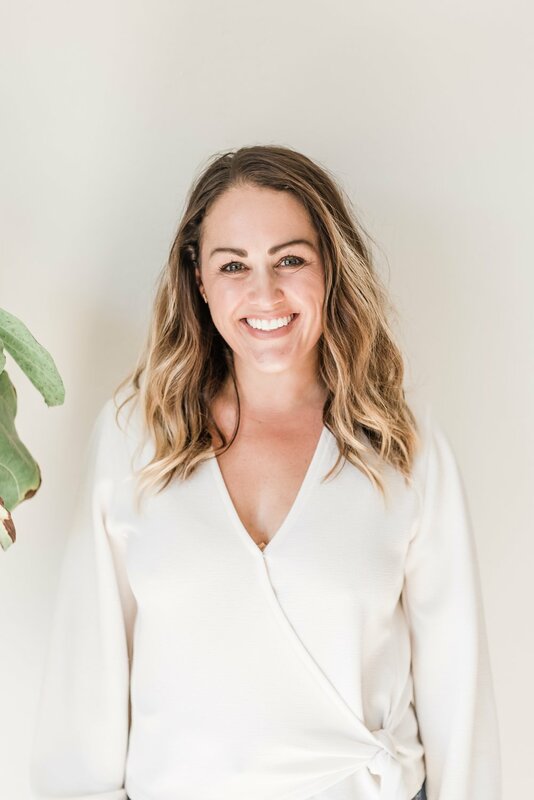 Natalie’s approach to sleep training is tailored to each family she works with, meeting them exactly where they are and developing a customized plan to help them reach their sleep goals, based on their unique baby’s needs and their parenting style. Natalie walks alongside families during the time they need the most support, encouraging parents and helping them find a rhythm that works best with their baby and lifestyle. Natalie is also a member of the Postpartum Health Alliance, a non-profit dedicated to raising awareness about Postpartum Mood and Anxiety Disorders. She lives in San Diego with her little ones: Connor (7yrs), Kate (4yrs), and Makenna (1.5yrs). You can follow Natalie or reach out to her with questions on Instagram and Facebook.